Welcome to Scholes Village Primary School. We are a small village school at the heart of a local community, catering for children aged 3 – 11 years. We are very proud of our school, particularly the achievements of our children. 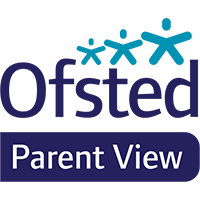 This is largely due to the way our staff work in close partnership with parents. We believe children learn best when school and home work closely together. Visitors often comment on the welcoming and friendly atmosphere of the school, which we are careful to nurture. Our pupils tell us that we are good at listening to them and we encourage good manners and respect for everyone throughout school. At Scholes we believe that alongside teaching the National Curriculum we must also teach our children skills that will equip them throughout their lives. To support this we have made Enterprise and Learning Outside the Classroom two drivers that are a focus throughout school and help children become lifelong learners. Children get one chance at education and at Scholes we aim to give them the best possible start. As a result, we are constantly striving to improve what we can offer. We hope that you will find the information here useful.